The Head of FETA (Iran's cyber police) says the police has identified the source of attack to US Citibank, and denies that Iranians have a role in attack, Mehr News Agency reported from Tehran on Sunday. "The attack sources have not been located inside Iran and even Iranian users have been victimized," says Brigadier General Seyed Kamal Hadianfar, the head of Iranian Cyber Police in an interview to Mehr News. FETA has been launched in May 2011 to contain new wave of cyber crime. In a short time, FETA employed elites and experts and prevented many crimes, with 67 cases with definite outcomes. 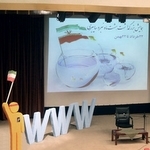 Iran's discovery of cybercrime cases is twice that of developed countries. The following is Mehr News interview with Brigadier General Hadianfar. Given that cybercrimes have been supranational, that is beyond the borderlines, what FETA has achieved in discovering supranational crimes? 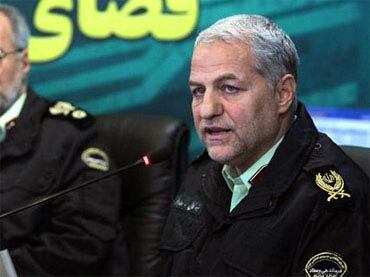 Brigadier General Kamal Hadianfar: production space and data transactions police has the task of dealing with crime in cyberspace, including international crimes, crimes with foreign origin, but the effect of the crimes on Iranians are communicated with hosting country through judiciary orders and tracking by Interpol. Interpol is responsible for prosecuting the convicts according to international policing and judiciary protocols. Cyberspace knows no borders, and preventing crime needs international cooperation. Has there been any open case in cybercrime? An open case is the case of cyber attack on US Citibank. US officials have communicated the attack through RSA, their security division, to FETA police, which has carried out an investigation into the case. Investigations indicate that Iranian users have been victim to botnet, a cyber attack. The attacking IPs have been tracked to Italy and Britain, and FETA police communicated the results of its investigation to the foreign party. It revealed that no attack has been launched from inside Iran on US Citibank, and Iranians, not only had no role, but also had been victim to attacks. Botnet is a network of computers connected to internet which have been victim of hacking attacks. Attackers breach the network and without the user knowing, launch Distributed Denial of Service to build a heavy traffic on public computers and make access impossible to servers. When users are not protected, and their internet broadband is not guarded enough, their computers would be victim to zombies or robots in service of a virus originator. The western media has accused Iran of attacking US server, especially banks. What do you think of the rumors? These are rather media propaganda by the US, and it is not so important. The new claim on Iranian attacks on US banks would be investigated by FETA police, if US officials have legal reasons and documents communicated to us via Interpol. We have not yet filed any complaint, and media stories in the west have not provided clear evidence for the fact that Iran has been the source of attacks. The unauthorized and undocumented accounts by unauthorized bodies reveal their political nature. These are all moving in margins, and the West tries to give an edge to Iranophobia. If such accusations are true, we would punish the hackers without consideration, and would not tolerate any crimes of such nature. Though the police have investigated but no clear evidence has been found to confirm the US officials' claims. How FETA has cooperated with international bodies in fighting cyber crime? We believe that providing security for cyberspace necessitates close cooperation of countries and putting aside political considerations in fighting cyber crimes, since it is natural role of police to protect the citizen's rights against any violations. So, in communications and cyberspace as well, exchange of knowledge and experience, and sharing training necessary to contain new wave of cybercrime in countries would not be overshadowed by political and economic motives and sanctions. Close cooperation among countries would help police contain cybercrime in international and regional levels. How has FETA cooperated with Interpol? Recently, Interpol's Executive Director of Police Services, Assistant Director, Capacity Building, Training Research and Accreditation, and Executive Director for Asia and North Africa have visited FETA police in a meeting. In the meeting, we expressed our preparation for active roles in Interpol's Cyber Crime Center and sent our experts to those centers. We also expressed our readiness to provide cooperation and help in the cases of need in any cyberspace police arrangements.